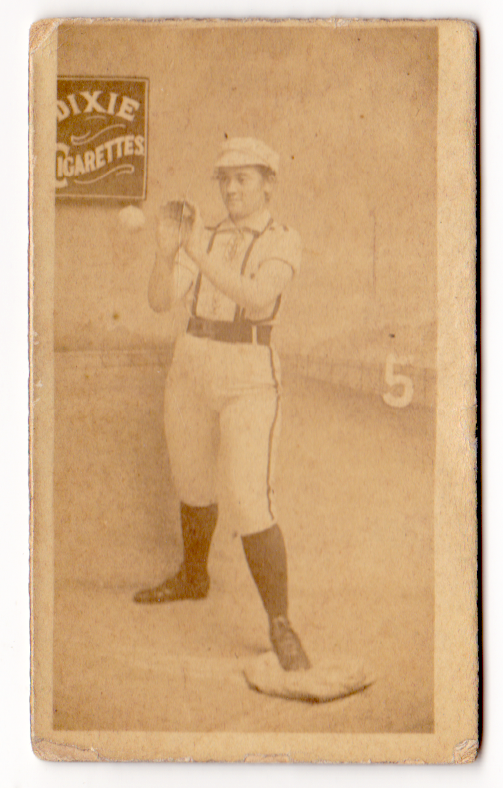 I recently came across my second 19th century type card, a woman in hazy sepia pretending to catch a ball dangling on a string. While unusual in style, I didn't realize they created un scandal in their time, likely because women weren't socially accepted as "athletic." Those pants! So form-fitting! 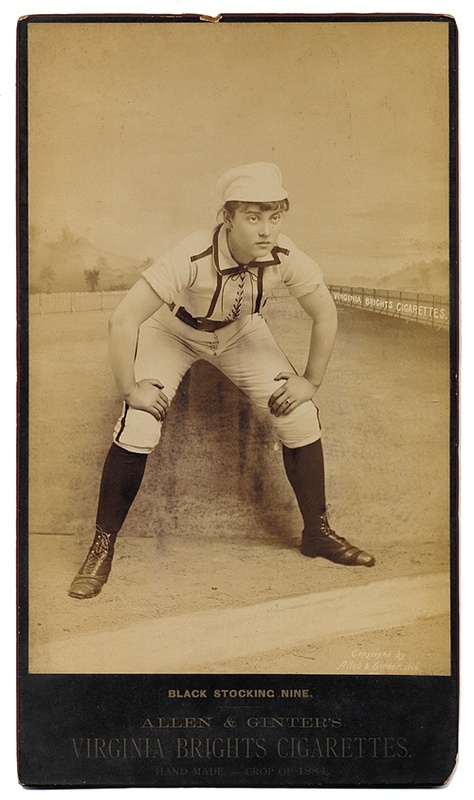 Her black stockings and shoes cut quite a figure, and passersby responded, for good or ill, when cigarette sellers hung Allen & Ginter's promotional cabinet cards (below) in their sidewalk windows. 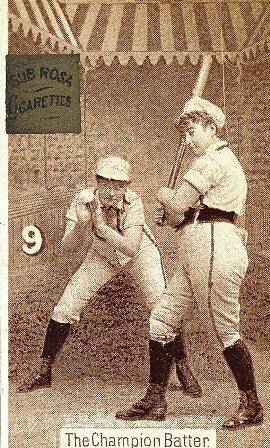 Despite the quality difference, a close look shows both photos are the same woman, who herself appears in most of their 1886 studio photos, occasionally with an "opponent" in matching uniform. Compare the "cabinet" (above) and cigarette card (below) to see how Allen & Ginter rendered the same picture with varying print quality. 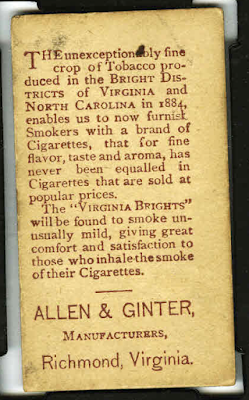 Their flashy "real photo" cabinet would draw attention to shop windows and in-pack cards would adapt the image for non-photo printing, this one with a branded "Sub Rosa Cigarettes" foil stamp. 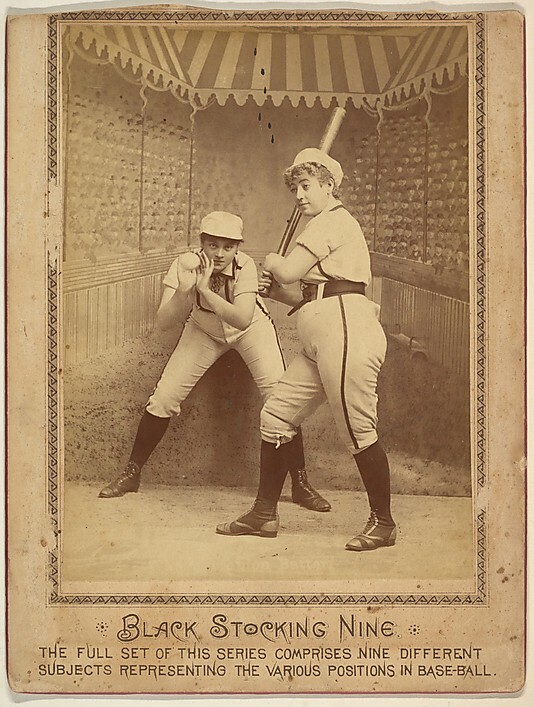 While 19th century women's teams played ball in many cities, it's no accident that Allen & Ginter used these uniformed women to promote Dixie, Sub Rosa, and Virginia Brights, as these were A&G's female-targeted brands. 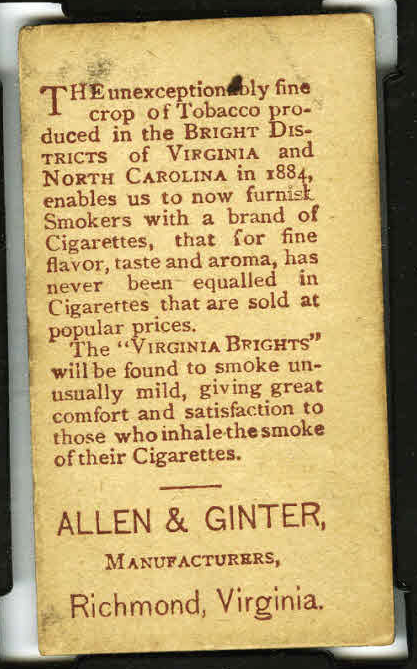 Some kept a blank obverse to save print costs, but others continued their "unexceptionably fine" quality pitch onto card backs. 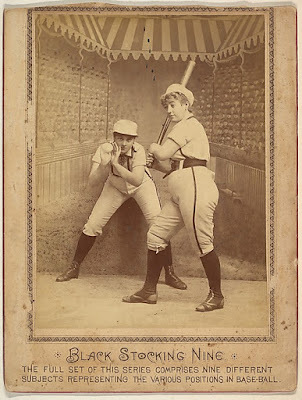 For some history of a real 1890s women's team, see Baseball History Daily's post sub-titled A Riot in Cuba. 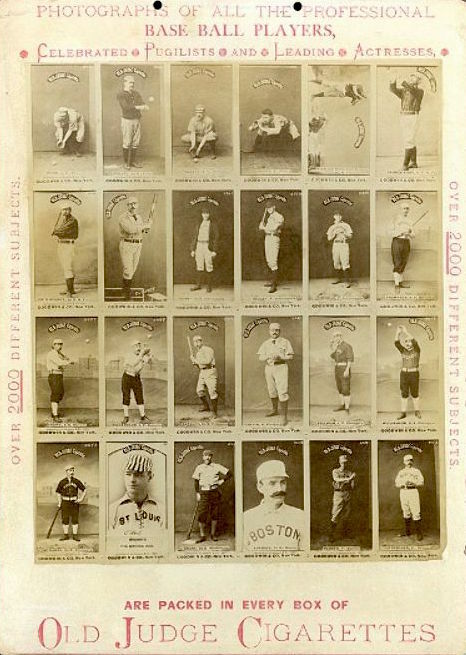 In 1886, Allen & Ginter covered a range of topics on tobacco cards, but when competitor Goodwin & Co. used their Old Judge brand to show off almost every ballplayer of the day starting in 1887 (OJ details at PSA), other brands followed suit and got the base-ball rolling for a nearly uninterrupted run of sports-first sets that continues to the present day. Value: While more affordable than 19th century male stars of the same vintage, low grade Allen & Ginter cards are always pricy and this #5 cost $130. 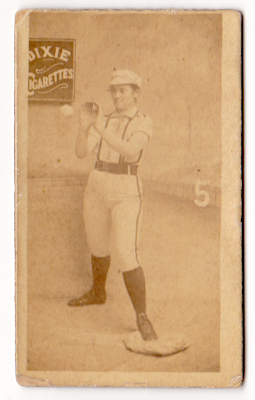 Larger cabinet cards run much more, especially when the photo presents well. Fakes / reprints: Haven't seen any fakes or reprints of the women's ballplayers, but they're of an era always vulnerable to counterfeiting. If you're looking for a 19th century type, stick to experienced dealers who know their cards or get something already graded.